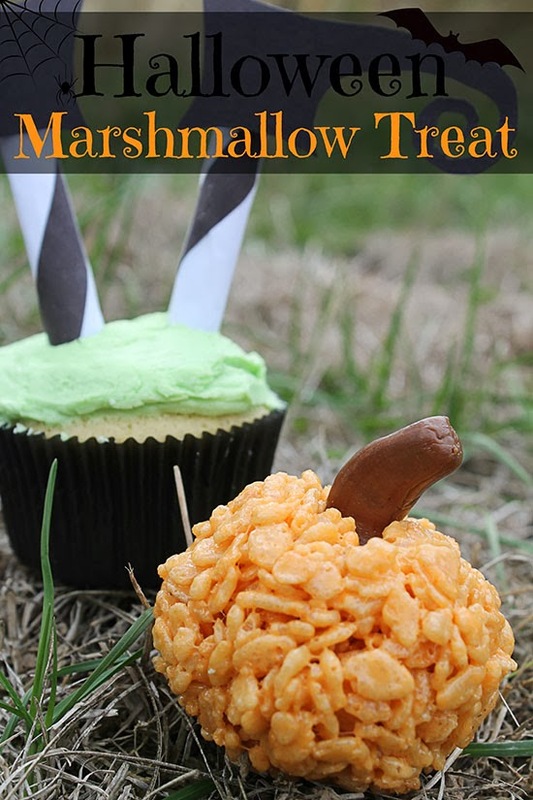 I have been practicing some delicious Halloween treats, planning costumes, and even making Halloween crafts, which is a HUGE step for me. What have you been doing to prepare for Halloween? Melt 1/4 c. margarine over low heat in saucepan, then add 10 oz. 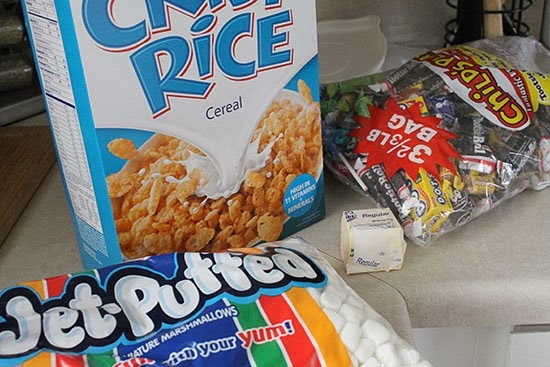 bag of marshmallows. You may be tempted to turn up the heat at this point, but it will turn out better if you keep the setting on low. 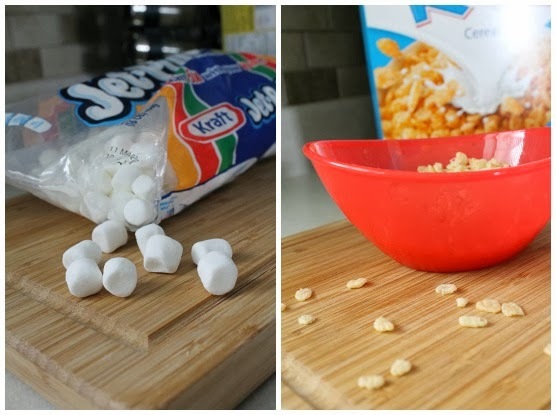 When marshmallows are melted, remove from heat, and add a few drops of yellow and red food coloring into marshmallow mixture until desired coloring is reached (the brighter, the better). 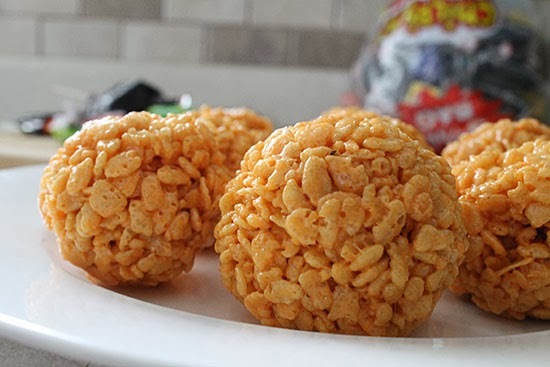 Mix in 6 cups of rice cereal and stir until well coated. Pour out onto greased pan and allow to cool for 5-10 minutes, or until it is cool enough to handle. Roll into raquetball-sized shapes and set back on greased surface. 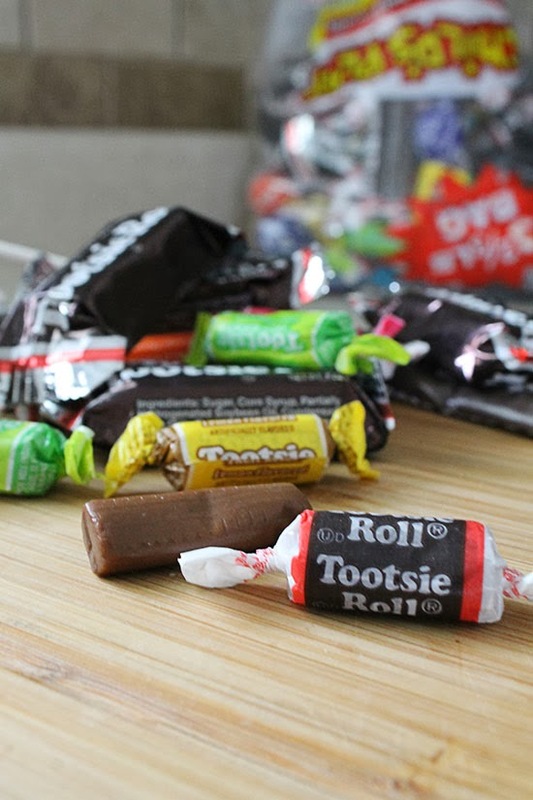 Heat the tootsie rolls by rolling them back and forth in between your hands quickly (like you would to make a clay snake) until pliable. 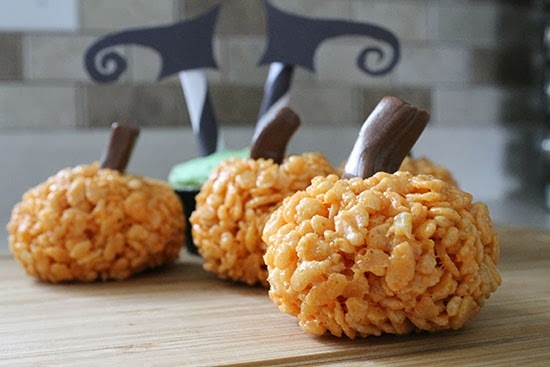 Insert one tootsie roll into the top of each pumpkin. 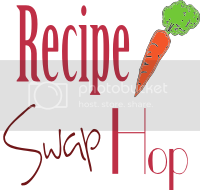 Don't forget to link up with Ariel and Jessica in the Recipe Swap Hop, hosted this week by yours truly! Link to one of your favorite recipes, find some new ones to try, and make friends! See you there!